With the iPhone 7, Apple also announced their new “revolutionary” headphones, the AirPods. Apple AirPods are futuristic-looking wireless headphones that only work on Bluetooth-enabled devices. What makes the AirPods look futuristic is its white color. Although some people are willing to buy it, Apple has never released a black version of the headphones that come with the iPhone. A black gloss iPhone but no black Airpods? Why? 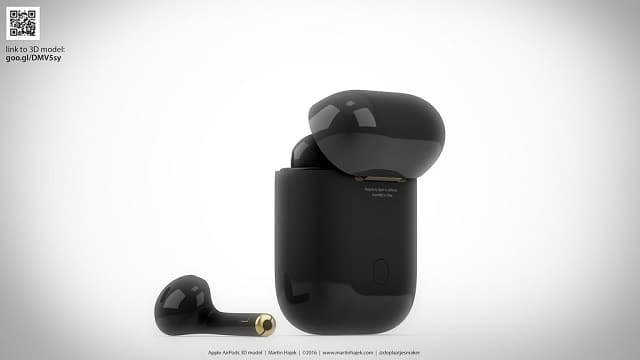 What if Apple had done the new AirPods in black too? 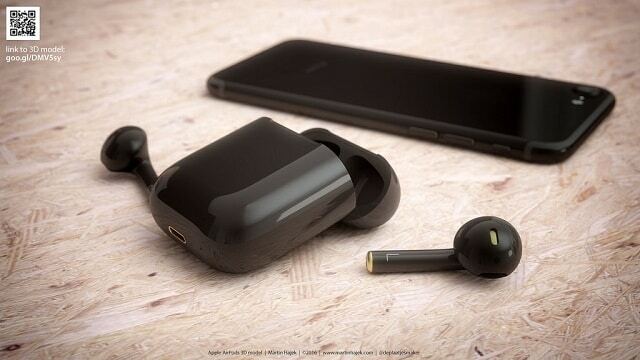 I modelled these earphones and rendered them in brand-new iPhone gloss black. 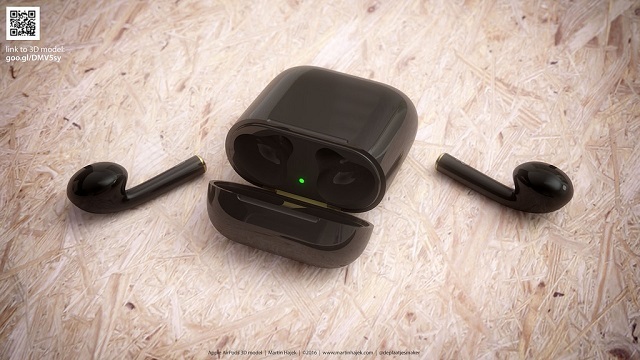 But thanks to 3D artist Martin Hajek, we can visualize what AirPods would look if Apple ever released them in Jet Black. 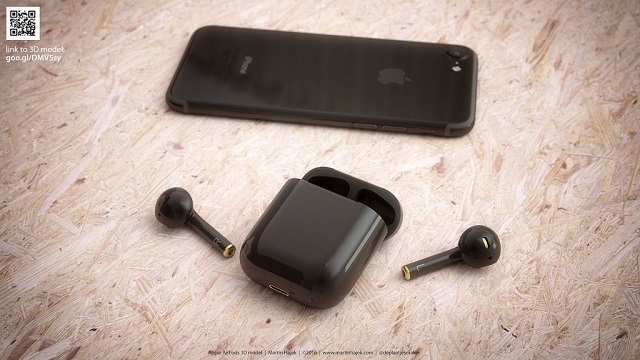 The artist rendered a pair of AirPods in gloss black, the same color as the new line of color introduced with the iPhone 7.